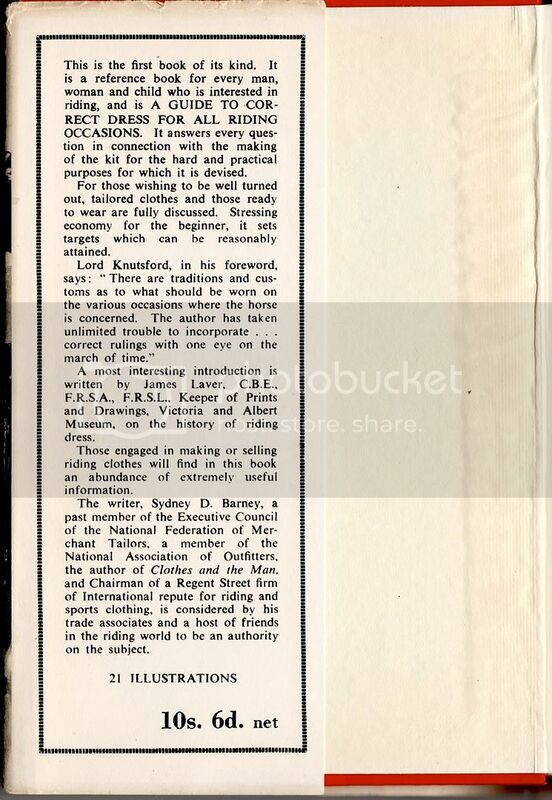 This is a book that often gets advertised in period issues of The Tailor & Cutter. 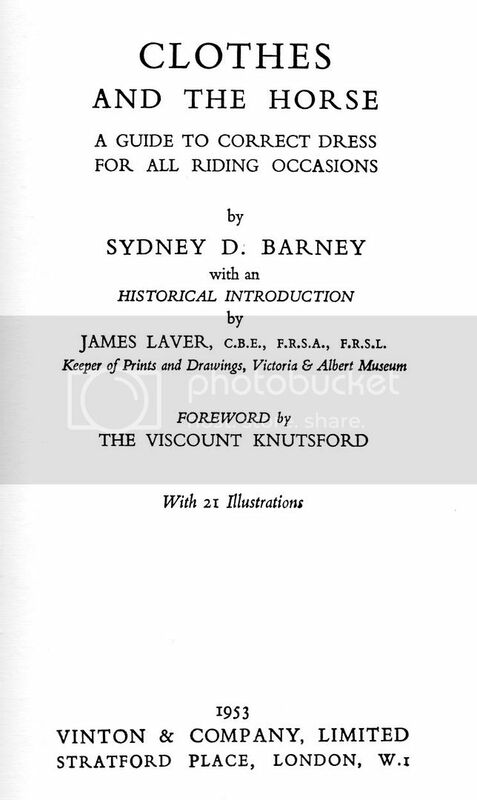 It was published in London, 1953 and presents a classical English view on correct riding attire. 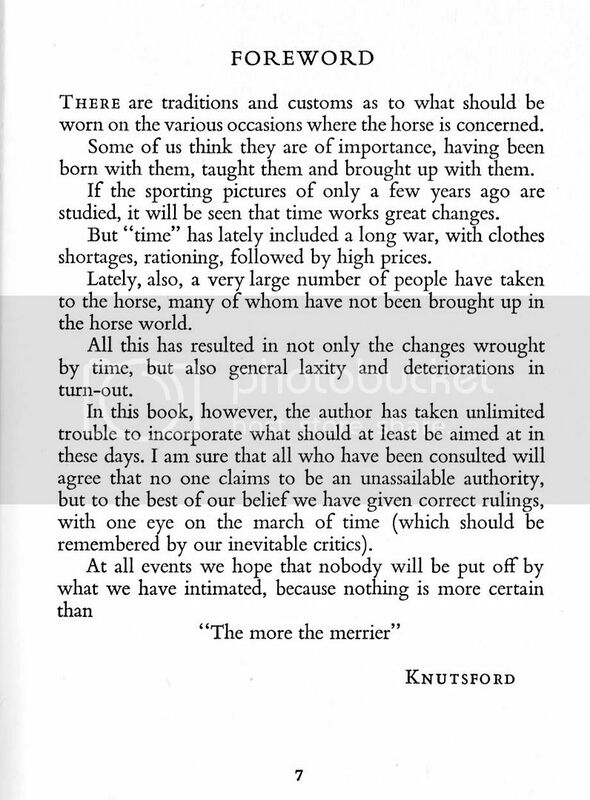 It is essential reading for any tailor who is called upon to cut equestrian cloths. Riders have very specific requirements in their sport and the cutter must be mindful of these. A bespoke riding garment has the potential to give the competitor an edge both in their presentation, personal confidence as well as it a greater range of movement permitted by the corrected fitted garment. 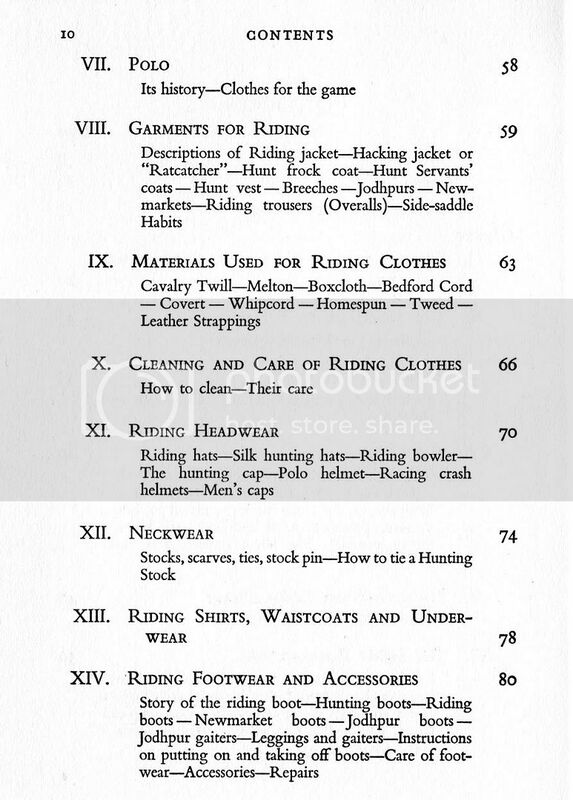 A good many items in the gentleman's wardrobe such as the dress coat, morning coat and hacking jacket also have their origins in riding attire. Thanks for telling me the book exist I just bought it. And it was expensive but I couldn't wait to have it. Edited by Der Zuschneider, 11 February 2010 - 03:33 PM. 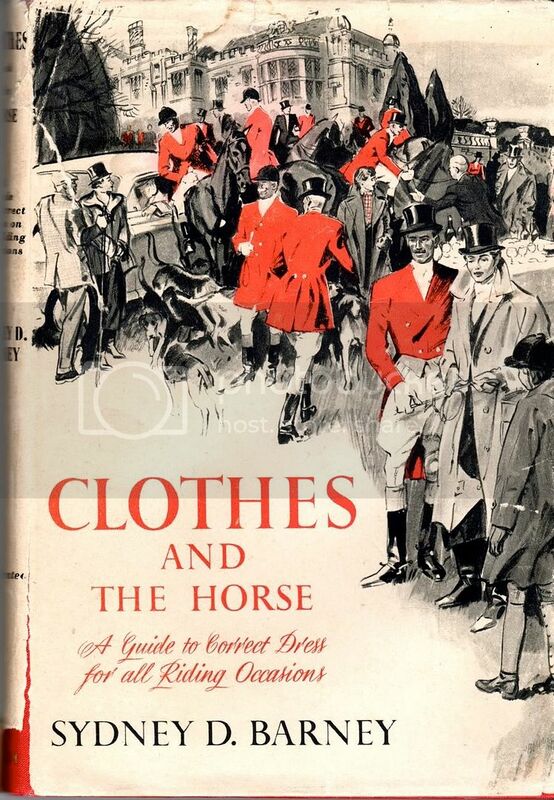 Today I got my book 'Clothes and the Horse' Excellent condition, little foxing. Didn't know is such a small book. SATOR, Please could you add XVI, Whips and Canes, when you have time. 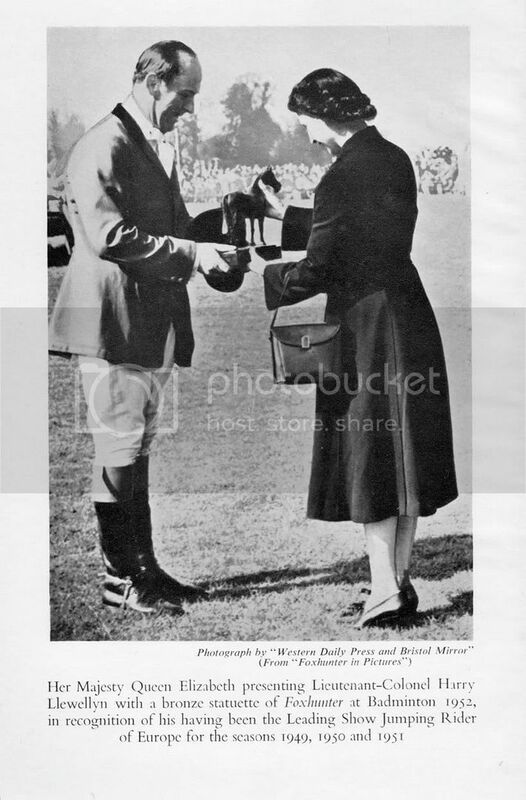 What whip one carries is an essential part of one's kit, and I'd be interested to learn more. Thank you for putting this guide online. Updates have been added! 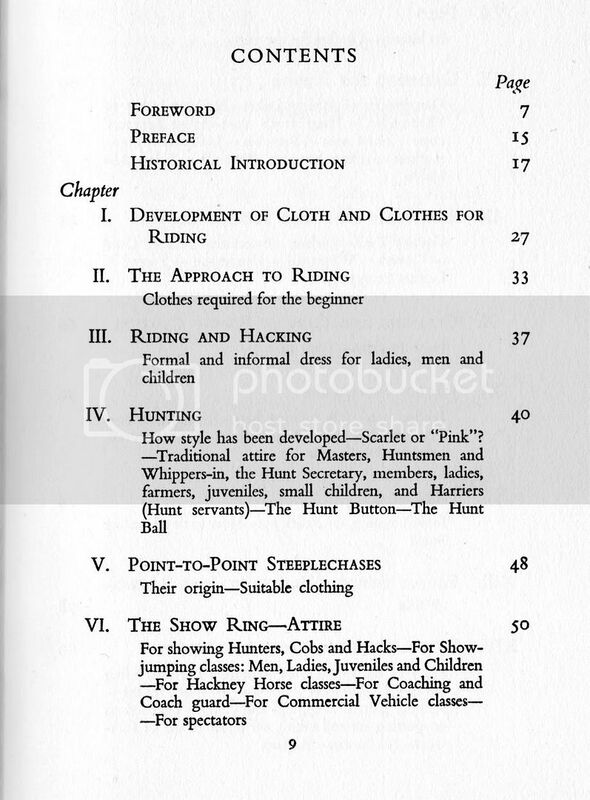 Including chapter XVI.